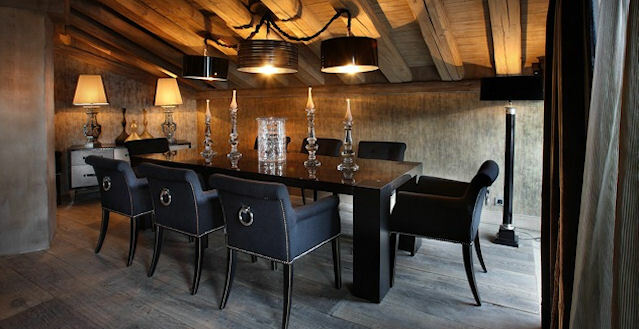 The Pearl apartment is a fabulous addition to our Luxury Courchevel Collection. This stunning apartment offers a panoramic view over the surrounding mountains and is located in the center of town in 1850, just a two minute walk to the Croisette, and ski in & ski out. Exquisite. Spacious. Tranquil. 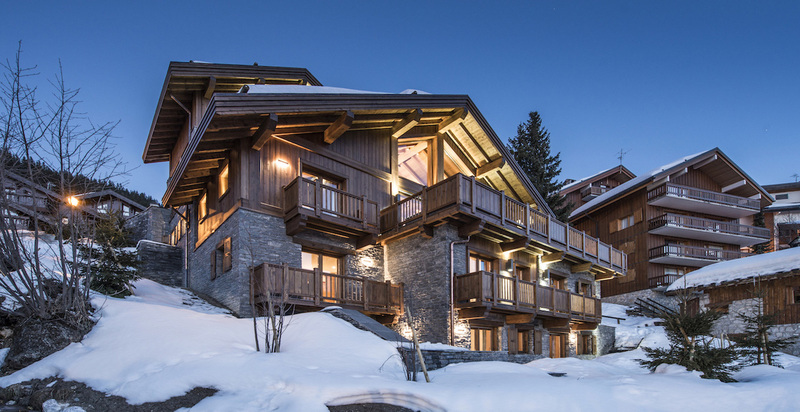 Chalet Pearl is a brand new, luxury ski apartment available for exclusive hire. Ideally situated in the calm neighborhood of the Jardin Alpin, the apartment is a real jewel nestled in the heart of Courchevel 1850. 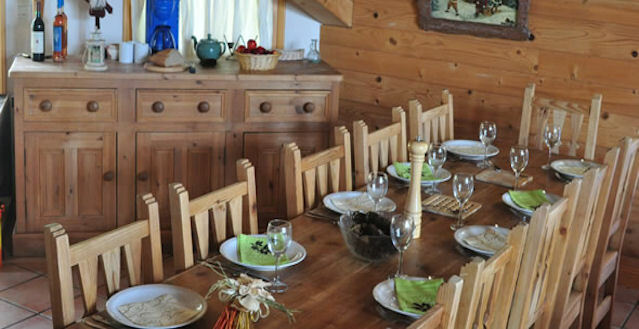 La Folie Blanche is an outstanding and original new chalet. The beautiful interior design has been cleverly thought out to make this not only visually spectacular but also a wonderfully comfortable place to relax. The entirely renovated 140sqm apartment Relais Saint Erige 1, features 4 bedrooms and can accommodate 10 guests. This apartment is located in Meribelcenter, 250 meters from the slopes and close to the shops. The chalet Oddiyana of a surface area of 250sqm with 5 rooms can welcom 8 adults and 3 children. Recently renovated with cosy and modern savoyard style this chalet is ideal for your family holidays. French Alps luxury ski chalet - This is a delightful chalet full of character and traditional Savoyard charm, ideal for parties of up to 8 people wishing to experience a unique and unforgettable holiday on the Alpine snow. Expert skiers will be thrilled to tackle challenging black runs while less confident skiers will have the opportunity to improve their style on slopes for all abilities. Chalet L’Arctique is located right in the centre of Courchevel 1850 providing the ultimate convenient location for all the fantastic shops, restaurants and nightlife of this world-class resort. Courchevel 1850 is one of the most famous ski resorts in the world which combines elegance with luxury. 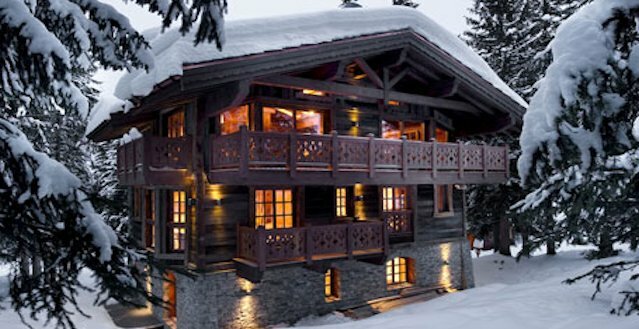 Situated at the highest residential point in the exclusive resort of Courchevel 1850, Chalet Razzie offers superb alpine accommodation. It is nestled just behind the Pralong chair lift, close to Belcote lifts, offers easy access to the slopes yet the desired privacy and exclusivity. In the Les Bossons area of the Chamonix Valley, Chalet Amazon Creek sleeps up to ten guests in five stunning bedrooms, all with en-suite bathrooms. Our flagship chalet boasts vast living areas, a cinema room and a fully equipped luxury spa with hamman steam room, sauna and sunken jacuzzi. 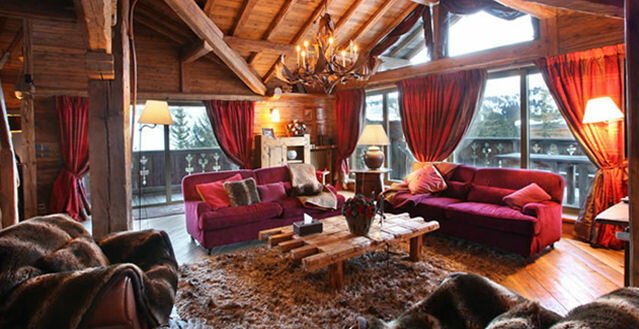 This luxurious and comfortable family chalet in Courchevel 1850 hosts 10 People. It has 5 bed rooms and 5 bath rooms, 2 Jacuzzi's, and Steam baths. Its large living and dining room extend onto a spacious terrace ideal for children. The kitchen and laundry room are fully equipped. This exceptional 360 m2 chalet offers an indoor swimming pool, hammam, sauna and a Jacuzzi. Very spacious, it can host 12 people. This upmarket Courchevel Chalet on 1850 is wonderful for families traveling on a ski holiday. This Luxury Chalet in the French Alps, just minutes from everything in Courchevel 1850, is a modern and fully equipped ski in and ski out Chalet that is situated in the Hameau de Cospillot. 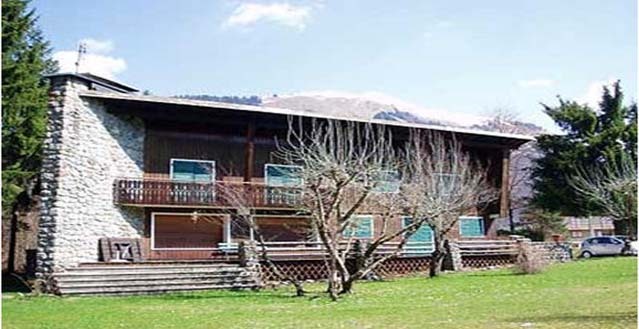 The chalet is built on four floors with a modern four person lift serving all floors. Shemshak Lodge is a stunning chalet situated in an enviable position on the piste in the fabulous Courchevel 1850, the chalet has been finished to a standard to match this world class resort. Sleeping up to 10 adults and 3 children in 5 en-suite bedrooms, the chalet is alpine chic at its best, with luxurious materials and furnishings designed by a top London interior designer. Imagine a wonderfully light and cozy chalet with magnificent views across the valley. Champagne and canapes in front of the roaring log fire, delicious fresh food made to your request by our own in-house chef. Help in organizing all of your needs, ski guides, masseurs, and restaurant bookings, virtually anything you wish for. Rates change month to month. This Chalet in Morzine, a large villa situated on the sunny side of Morzine, the chalet’s position provides amazing uninterrupted views of the mountains across the valley. With the town of Morzine just below, the chalet is only a short walk from the town centre and ideally located to drop you at the Prodain cable car or Super Morzine bubble and Pleney lifts, to get you straight up onto the slopes. Chalet Lhotse is a stunning chalet, blending rustic alpine style with reclaimed wood from Mongolia, intricately carved furnishings and designer pieces. Located in the heart of Val d'Isere this chalet still retains a feeling of exclusivity and enjoys stunning views of La Face piste. Chalet Calistoga is a brand new addition to the our portfolio, completely renovated in 2016 this luxury chalet is located in the exclusive domain of Du Cret in Val d'Isere. The Chalet Totara is excellently positioned to enjoy and explore the expansive Three Valley region. Located in the Nogentil area of Courchevel 1850, approximately 50 metres from the Pralong Piste and chair lift. Nestled in the heart of the village of Raffort, this completely renovated barn has become an elegant chalet, warm 5 bedroom en-suite. 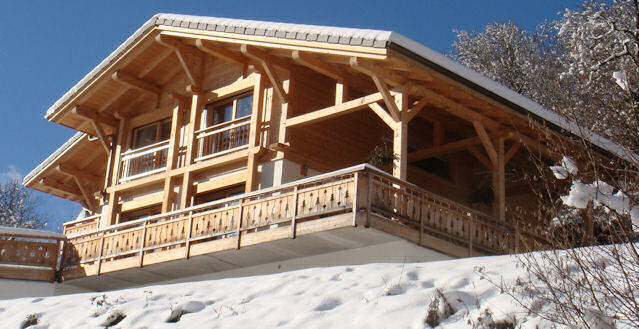 The Chalet Le Refuge is a contemporary chalet built on 4 levels around 180sq.m. and equipped for 8 adults and 2 children. Its decoration in perfect balance between modern style and chalet style is sure to seduce you for unforgettable holidays ! Alpe d'Huez 1860 ski holiday - Chalet Primrose I sits on a small development of lovely chalets built of wood and local stone, situated at the edge of the village of Alpe d’Huez, popular for its south facing slopes offering 300 sunshine days per year. You can ski out of your chalet in the morning to the ski lifts just 500m away! 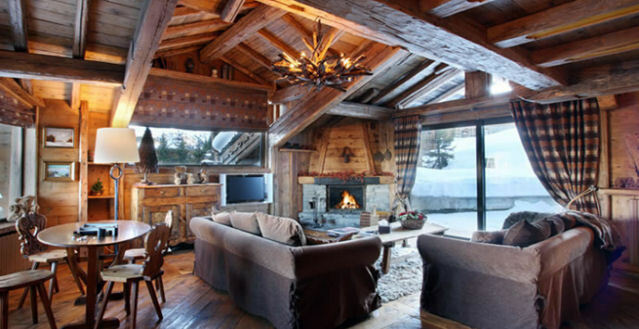 Chalet Le Grenier is a stunning ski-in/ski-out chalet, situated in the Morel region of Méribel. It enviably located just across the road from the Morel chairlift and the Hulotte piste allowing access to the snow. 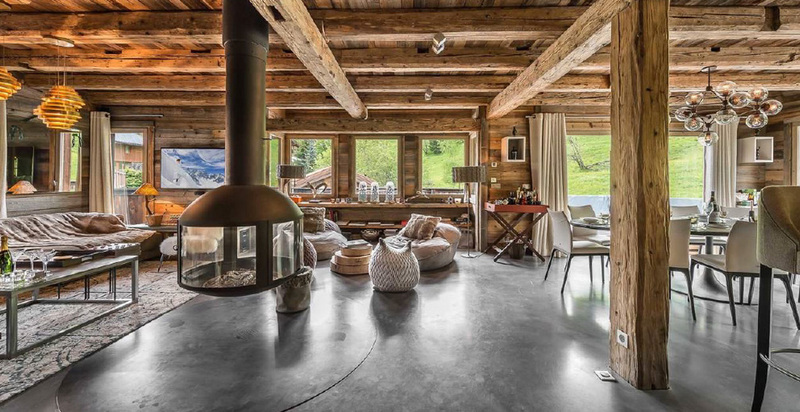 Chalet Lamartine is a beautiful chalet in Megeve. Quality services, upscale amenities and central location in Megeve. An ideal chalet to make the most of your ski holiday in Megeve. The original chalet was built in 1958 by Sir Edward Tomkins, one of the founding fathers of Méribel, on an old goat track which is now Route des Chalets, THE most exclusive address in Méribel. 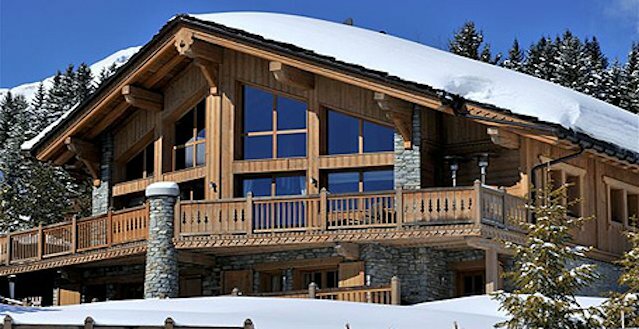 Chalet Les Gentianes is found in arguably one of the best locations in Courchevel. 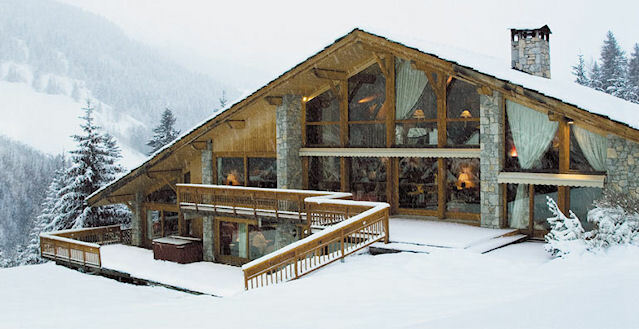 A winter-wonderland, surrounded by snow covered trees; it truly is a ski-in ski-out chalet. The chalet has been built in a sympathetic alpine style with wood interiors, exposed ceiling beams and a cozy fireplace in the living room. This luxury Chalet is located in one of the most beautiful part of the French Alps, with the backdrop being Samoens. 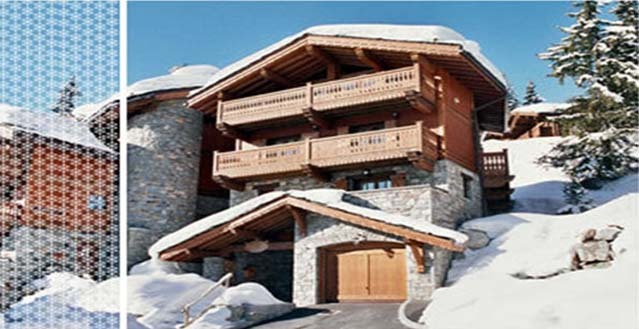 The Chalet Features 6 bedrooms and bathrooms and is one of the most impressive ski chalets you can choose to stay in. Recently built to the highest standard by local artisans and set on 20,000 sq. foot of its own grounds, the Chalet offers light, airy and spacious luxury accommodations in a relaxed and friendly environment. Chalet Vardy - utterly private but never isolated: the village of Meribel is close by but not too close for comfort. The unusually large grounds see to that, and there's plenty of space for epic family snowball fights. Fabulous state-of-the-art facilities for comfort and relaxation, as well as entertaining and of course business, come as standard in this beautiful, unique chalet. A beautiful six-bedroom residence perfectly positioned high on the hill overlooking the iconic French ski resort of Val d’Isere. A short-chauffeured drive from the centre of the village, the chalet’s position affords incredible views. Boasting seven bedrooms, an incredible private spa and every luxury toy you could wish for, Chalet Valentine is a stunning new alpine residence in the exclusive Belvédère area of Méribel. Chalet Bleu 3 Valleys is warm and inviting with a wood burner and there are seven twin bedrooms all with en-suite facilities. The chalet is ski in, ski out, and only 100 metres from the Gondola. On the south facing terrace there is a hot tub to ease away those aches and pains after a hard day's skiing. Located in the Nogentil area above the centre of Courchevel 1850 with incredible views over the Dent du Villard, Chalet Pearl is a charming chalet constructed of old timber and local stone. The chalet has seven en-suite bedrooms sleeping up to 14 guests in extreme luxury and includes a large master bedroom suite with jacuzzi tub. The chalet has 11 bedrooms & 7 bathrooms. There is a separate dining room which seats up to 26 people, a fully equipped kitchen with a large range cooker , dishwasher, microwave and American style fridge freezer. There is a hot tub in the huge garden (2,500m2), we have recently added a new decking area around the hot tub for season. Prices Change month to month please call for rates. Welcome to Chalet des 3 Vallées, in the heart of the 3 valleys. the 3 charming apartments of Chalet des 3 Vallées offer unforgettable winter and summer holidays. Staying in France is something of a fairy tale, when you think of France you think of the Modern Day Models that flaunt their new styles on the runways of Paris France each year for Fashion week. Paris has long been the place people look for their fashion ideas and future trends. You can visit Champs Elysees and see the amazing designer stores, such as Louis Vuitton, Sephora, Addidas, and more. Paris has so much to offer, not only in the daytime but at night you can visit amazing restaurants, historical sites, the Eifel Tower with it’s lights that attract thousands of visitors each year. The of course you have other wonderful attractions such as: Montmartre Hill, the highest natural point in Paris, Notre Dame, the famous cathedral where the coronation of Henry VI and Napoleon I took place, Palais de Chaillot which includes a Marine and Navy Museum, Museum of Man and the Museum of French Monuments. Some beautiful castles such as the Château de Versailles, but if you do have the time, Fontainebleau and Malmaison. And of course if you are in town you can visit Euro Disney. If you enjoy the Countryside, than you will love the Loire Valley, which is known to as the Garden of France with it’s beautiful castles, Châteaus, monuments, and historical sites, it is one of the best places to get a sense of how the French have lived for generations. While traveling through the countryside by rail, you can visit Amboise, Angers, Blois, Chinon, Tourane, Nantes, Orleans, and Samur. You can also plan your trip by region, visiting either Anjou, Atlantic Loire, Berry Region, Chartres, Mayenne Region, and Sarthe Regions. Some cities of interest may be Ambroise, Loches, Vendome, Gordes, and Gravelle. For more information on this region visit http://en.wikipedia.org/wiki/Loire_Valley. If you enjoy Skiing, well France is just the right place for you. Depending on how avid of a skier you are, you can try the French Alps, from the lowest elevation to the highest. Listed are some of the areas in France you can ski: Alps dHuez, Avoriaz, Courchevel, Chatel, La Plagne, Les Arcs, Les Gets, Morzine, Les Ardeden, and for more locations please visit http://www.skireport.com/france/stats/. One of the favored areas to stay for high end Skiing Châteaus, Villas, Cottages, and Resorts is Courchevel 1850, where you can mingle with the stars. France is so much more than Skiing, Castles, Fashion, and Countryside, it is history of where many of our customs come from. We are indebted to the French for their amazing cuisine, there romantic gestures, and their impeccable style. It’s no wonder we always say Vive Le France. And if you’re thinking of France for the Beaches, go no further than St. Jean de Luz, where you can find surfing is always one step away and the sands are always pristine. We offer Vacation Rental Cottages, Castles, Villas, Homes, and Luxury Apartments throughout France. We can also help you to organize your wedding, your family reunion, or just a great holiday with friends. We can also help you organize your ski trips, offer suggestions on locations, and give you a heads up if homes are going fast. There are some wonderful places to go in France, just find your legs and make your way. Also be sure to visit the Film festival in Canes each year. Perfect for those looking to sell their movie ideas.